"We're not searching for certainty, we're searching for adventure." 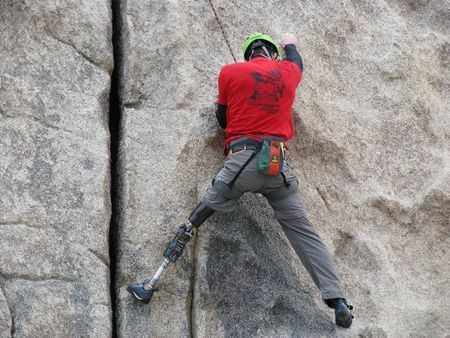 Adaptive Climbing aims to empower folks with disabilities by teaching the physical and mental skills of rock climbing. It invites them into a genuine community of strength, support and trust. 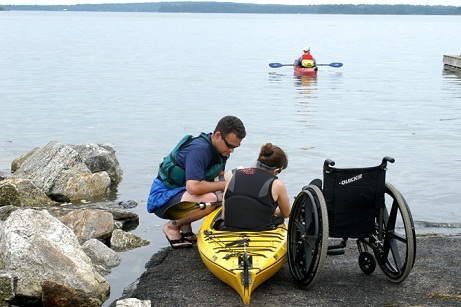 Adaptive kayaking will empower participants with the necessary skills and mental preparation to paddle California's rivers. It invites them into a strong community of strength, support and trust. If you are an adaptive athlete, or a sponsor of adaptive programming, and would like to schedule an event, we'd love to hear from you. Thank you for your interest in our adaptive program!